GridinSoft Anti-Malware kötü amaçlı yazılımları temizlemek için tasarlanmış modern ve güçlü bir çözümdür. Uygulama işini hızlı ve verimli bir şekilde gerçekleştirmektedir. Not: Program 6 aylık lisansa sahiptir. Eğer eposta adresiniz Giveaway için daha önce kullanılmamışsa bu fırsatı kaçırmayın! Trojan Killer is the effective anti-malware tool for your memory stick. 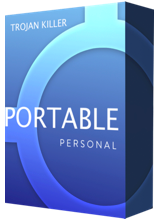 Be sure that you're safe from the internet threats wherever you go! Special 70% OFF Sale for GOTD users. 6 aylık version olduğu yazıyor, fakat 1 ay sonra deneme sürümü denemeye ve virüs, malware temizlememeye başladı. Aktivasyon ve ücret istemeye başladı. Güncel versiyon 4.0.7 oldu. Advice first: with any program of this diagnostic nature, the potential to do good is equal to the potential to do harm; a computer user no more wants their pride and joy misdiagnosing with a serious illness, requiring serious yet entirely unnecessary remediation, than they do themselves. This review is therefore of that trial product, one which, because I haven't paid for it, has been capable only of reporting. Not rectifying. First impressions. An excellent GUI, though as ever, the user should delve into its features before doing anything else. This is particularly important where Settings are concerned, because this software is defaulted to starting every time Windows starts and performing a scan every time the program is launched. Neither are necessary. Neither are desirable. As many computer users unfortunately don't take the trouble to check a program's settings first, I followed their example and left things as they were. Which meant that as soon as the program launched, so, too, did a 'quick scan'. It lasted 6 minutes 40 seconds, scanned for 330,663 "virus strains or unwanted programs", examined 78,405 items, found 820 harmful objects, 767 threats, and 53 PUPS including within those 53 a total of 780 parts of threats. Novice computer users may well give up at that last result, perplexed by a math that might seem inexplicable. But they might also be very, very impressed with all those numbers . . .
Main thing to note here is the existence of so many PUPS. If you don't know the meaning of the acronym, the scan report page states: "Remember: PUPS are unwanted programs you may use at your own risk. But our Analyst Team claims they can cause troubles on your PC." Though the sheer woolliness of that comment is disconcerting -- 'cause troubles': huh? - the assertion that everything identified as a PUP is "unwanted" is even more so. It's as if the developer doesn't even understand the difference between actual and potential -- and thus its scan is reporting 53 programs I definitely do not want on my computer when in fact the software has merely estimated the existence of 53 maybe-possibly-then-again-maybe-nots. Such disregard for accuracy strikes me as a unhelpful; certainly, it does not inspire trust. Nor does the existence of an "Analyst Team" capable only of claiming stuff, when what I need of any software is the assurance that those behind it know stuff. . . I next ran a "Full Scan". It lasted 42 minutes 51 seconds, scanned for 330,746 "virus strains and unwanted programs", investigated "58 memory items, 41,070 registry items, and 75,797 files". Result: 772 threats. 55 PUPs (including 781 parts of threats). 827 harmful objects. Total, scanned items: 116,925. Using "Advanced Mode" it was possible to view the results by type: Malware, Adware, Suspicious, PUP, Trojan. I sifted through the findings to identify a common element, if any. It turned out to be "a part of PUP.FPL.Gen.vl"
"PUP is slightly not the same as malware as it doesn't have a goal to destroy your operating system or steal sensitive information. In most cases PUPs are marketing tools that get to your computer with the help of social engineering." As with the quick scan results, the software likewise reported: "Now you can apply the action you need to any item listed below or clean them all at once" -- the equivalent of saying you can now spend a helluva lot of time examining every single firework in the box . . . or go ahead and press a button which might just blow everything up. I closed the program. A warning in bright red ink flashed up: 827 malicious items. Your computer is infected. Remove all threats to keep your system safe! The warning was accompanied by two options: 'Close anyway', this lower case text presumably to imply how casual a user is behaving at so critical a time, and 'CURE MY PC', this text capitalised to emphasize the wisdom of believing what this software wants you to do. But, but, but. . . What cure? A cure for a condition accurately diagnosed or a cure for a condition completely misdiagnosed? Or, to put the dilemma in medical terms: a sticking plaster cure for a small blister which which one doctor has diagnosed on my left foot. . . or a leg amputation cure for the gangrene which another doctor says is infecting my entire left leg? Who knows? I don't. All I am certain of is that hitting the CURE MY PC button would be as stupid as stupid gets: whether my foot, my leg, or my computer, I need a second opinion. A further examination and diagnosis. Scan time, GridinSoft: 42 minutes 51 seconds; Malwarebytes: 4 minutes 40 seconds. Total items scanned, GridinSoft: 116,925; Malwarebytes: 275,406. 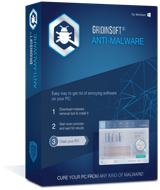 Threats detected: Gridinsoft: 827; Malwarebytes Premium: 0. This isn't a comparison of one diagnostic tool against another. Such would be facile: Malwarebytes can be as fallible as GridinSoft, and vice versa. But the question nevertheless has to be asked: can it credibly be the case that GridinSoft has discovered 827 threats to my working-perfectly computer which the world's leading anti-malware software has failed entirely to identify? The equally credible answer has to be a resounding "no". And the explanation for that isn't hard to find: I didn't need to spend hours, poring over GridinSoft's results, to discover that time and again it was flagging up False Positives. That it was mis-diagnosing as a threat that which very obviously was not a threat. How many mis-diagnoses there've been, I can't say; I have neither the time nor inclination for the forensic examination of each individual result. The numbers game was played, very successfully, by all kinds of scareware operators some years ago, with gullible souls believing that if a registry "optimizer" found 10,000 problems then it must, by virtue of the sheer total alone, be better than something which only found half a dozen. I don't for a moment believe today's developer is in the scareware business. But I do believe it needs to be considerably more careful in its diagnostic procedures and much, much more professional in the explanations it provides both in-program and on-line. Until that happens, GridinSoft Anti-Malware 4.0.3 is not a program I could use, nor ever recommend. <b>Review:</b> Advice first: with any program of this diagnostic nature, the potential to do good is equal to the potential to do harm; a computer user no more wants their pride and joy misdiagnosing with a serious illness, requiring serious yet entirely unnecessary remediation, than they do themselves. For that reason, installing a fully-functioning version of a diagnostic program which might in some way result in a mis-advised repair is <b>never</b> to be recommended. In this case then, I did not download the GOTD package but instead went to the developer's website and used this link: <b>https://get.anti-malware.gridinsoft.com/01/?aff=gsbs&act=download</b> This review is therefore of that trial product, one which, because I haven't paid for it, has been capable only of reporting. <i>Not </i>rectifying. First impressions. An excellent GUI, though as ever, the user should delve into its features <b>before</b> doing anything else. This is particularly important where Settings are concerned, because this software is defaulted to starting every time Windows starts and performing a scan every time the program is launched. Neither are necessary. Neither are desirable. As many computer users unfortunately don't take the trouble to check a program's settings first, I followed their example and left things as they were. Which meant that as soon as the program launched, so, too, did a 'quick scan'. It lasted 6 minutes 40 seconds, scanned for 330,663 "virus strains or unwanted programs", examined 78,405 items, found 820 harmful objects, 767 threats, and 53 PUPS including within those 53 a total of 780 parts of threats. Novice computer users may well give up at that last result, perplexed by a math that might seem inexplicable. But they might also be very, very impressed with all those numbers . . . Main thing to note here is the existence of so many PUPS. If you don't know the meaning of the acronym, the scan report page states: <i>"Remember: PUPS are unwanted programs you may use at your own risk. But our Analyst Team claims they can cause troubles on your PC. "</i> Though the sheer woolliness of that comment is disconcerting -- <i>'cause troubles': huh?</i> - the assertion that <b>everything</b> identified as a PUP is "unwanted" is even more so. It's as if the developer doesn't even understand the difference between actual and potential -- and thus its scan is reporting 53 programs I definitely do <b>not</b> want on my computer when in fact the software has merely estimated the existence of 53 <i>maybe-possibly-then-again-maybe-nots.</i> Such disregard for accuracy strikes me as a unhelpful; certainly, it does not inspire trust. Nor does the existence of an "Analyst Team" capable only of <i>claiming</i> stuff, when what I need of any software is the assurance that those behind it <i>know</i> stuff. . . I next ran a "Full Scan". It lasted 42 minutes 51 seconds, scanned for 330,746 "virus strains and unwanted programs", investigated "58 memory items, 41,070 registry items, and 75,797 files". Result: 772 threats. 55 PUPs (including 781 parts of threats). 827 harmful objects. Total, scanned items: 116,925. Using "Advanced Mode" it was possible to view the results by type: Malware, Adware, Suspicious, PUP, Trojan. I sifted through the findings to identify a common element, if any. It turned out to be <b> <i>"a part of PUP.FPL.Gen.vl" </b></i> Clicking on this text triggered a link to further information about the diagnosis: the online GridinSoft Help Center. Yet there, disappointingly enough, the GridinSoft 'encyclopedia' failed entirely to say even a single word about the PUP.FPL.Gen.vl infecting my computer. Instead it wished me to know that: <i> "PUP is slightly not the same as malware as it doesn't have a goal to destroy your operating system or steal sensitive information. In most cases PUPs are marketing tools that get to your computer with the help of social engineering." </i> Oh really? As with the quick scan results, the software likewise reported: <i>"Now you can apply the action you need to any item listed below or clean them all at once"</i> -- the equivalent of saying you can now spend a helluva lot of time examining every single firework in the box . . . or go ahead and press a button which might just blow everything up. I closed the program. A warning in bright red ink flashed up: <b>827 malicious items. Your computer is infected. Remove all threats to keep your system safe! </b>The warning was accompanied by two options: 'Close anyway', this lower case text presumably to imply how casual a user is behaving at so critical a time, and 'CURE MY PC', this text capitalised to emphasize the wisdom of believing what this software wants you to do. But, but, but. . . <b><i>What cure? </b></i>A cure for a condition accurately diagnosed or a cure for a condition completely misdiagnosed? Or, to put the dilemma in medical terms: a sticking plaster cure for a small blister which which one doctor has diagnosed on my left foot. . . or a leg amputation cure for the gangrene which another doctor says is infecting my entire left leg? Who knows? I don't. All I am certain of is that hitting the <b>CURE MY PC</b> button would be as stupid as stupid gets: whether my foot, my leg, or my computer, I need a second opinion. A further examination and diagnosis. And so I turn to Malwarebytes Premium, the Real Time active defense installed on my PC. I run its Threat Scan: rootkits, memory, startup files, registry, file system and heuristics analysis. The result is: Scan time, GridinSoft: 42 minutes 51 seconds; Malwarebytes: 4 minutes 40 seconds. Total items scanned, GridinSoft: 116,925; Malwarebytes: 275,406. <b>Threats detected:</b> Gridinsoft: <b>827;</b> Malwarebytes Premium: <b>0.</b> Conclusion: This isn't a comparison of one diagnostic tool against another. Such would be facile: Malwarebytes can be as fallible as GridinSoft, and vice versa. But the question nevertheless has to be asked: can it <i>credibly</i> be the case that GridinSoft has discovered 827 threats to my working-perfectly computer which the world's leading anti-malware software has failed entirely to identify? The equally credible answer has to be a resounding "no". And the explanation for that isn't hard to find: I didn't need to spend hours, poring over GridinSoft's results, to discover that time and again it was flagging up False Positives. That it was mis-diagnosing as a threat that which very obviously was <b>not</b> a threat. How many mis-diagnoses there've been, I can't say; I have neither the time nor inclination for the forensic examination of each individual result. I can say though that today's software worries me. Why? Because too many computer users out there -- millions of 'em -- are still naive enough to blindly trust in whatever appears on their computer screens, this despite the historical fact that as Abraham Lincoln once said, you shouldn't believe everything you read on the Internet. (The 140 GOTD down-voters of Joek's comment the other day may like to re-read that. ) The numbers game was played, very successfully, by all kinds of scareware operators some years ago, with gullible souls believing that if a registry "optimizer" found 10,000 problems then it must, <b>by virtue of the sheer total alone, </b> be better than something which only found half a dozen. I don't for a moment believe today's developer is in the scareware business. But I do believe it needs to be considerably more careful in its diagnostic procedures and much, much more professional in the explanations it provides both in-program and on-line. Until that happens, GridinSoft Anti-Malware 4.0.3 is not a program I could use, nor ever recommend. Attractive user interface. Can reverse malicious changes to browser and Windows Update settings. Real-time protection disabled by default. Doesn't scan downloads. Zero score in malicious URL blocking test. Poor score in hands-on malware blocking test. No test results from independent labs. GridinSoft Trojan Killer aims to kill all types of malware, not just Trojans. Our testing shows that it fails in that aim. This product isn't ready for prime time. From PC Magazine: PROS Attractive user interface. Can reverse malicious changes to browser and Windows Update settings. CONS Real-time protection disabled by default. Doesn't scan downloads. Zero score in malicious URL blocking test. Poor score in hands-on malware blocking test. No test results from independent labs. BOTTOM LINE GridinSoft Trojan Killer aims to kill all types of malware, not just Trojans. Our testing shows that it fails in that aim. This product isn't ready for prime time. Rob Nolan, thanks for your feedback! We don't hide our past mistakes as they helped us to work on ourselves and improve. The review copied by you was written 3 years ago, since that time we did a tremendous job of updating the product, its interface and fixed many of its issues so most of the Cons are no longer relevant. I'm using this on my wife's older laptop and it's using ~55% of the CPU. Needs to have a limiter as it slows down everything. It's not even half way through and has already found 818 "threats" and 157 "PUPS". Anytime a program logs that many issues I have found it's not worth keeping due to the fact it detects too many false issues. I am running Bitdefender and it seems to be fine with the status of this computer.